Blended Families & Stepfamilies are defined as families where at least one parent-child relationship precedes the adult couple relationship. Step parents enter as outsiders. Interview with Dr. Patricia Papernow. She is in her fourth decade of working with, learning about, and teaching others about stepfamily relationships. Her most recent book, Surviving and Thriving in Stepfamily Relationships: What Works and What Doesn’t, has been called the best book ever written on the topic. Dr. Papernow is the 2017 recipient of the American Psychological Association’s Couple and Family Therapy Division Award for Distinguished Contribution to Family Psychology. She is widely recognized as one of the world’s foremost experts on “blended families” and post-divorce parenting. 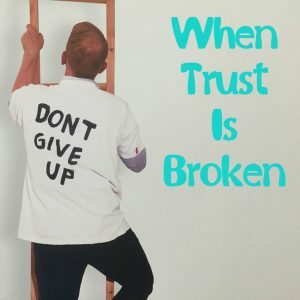 She is the Director of the Institute for Stepfamily Education, an organization dedicated to helping stepfamily members, those who love them, and those who want to help to navigate the intense and often overwhelming challenges of becoming a stepfamily. •	Insider/outsider positions are intense. And stepfamily structure keeps these positions fixed in place for a long time. •	Children in stepfamilies struggle with losses, loyalties binds, and change. •	Parenting tasks can divide parents and stepparents. 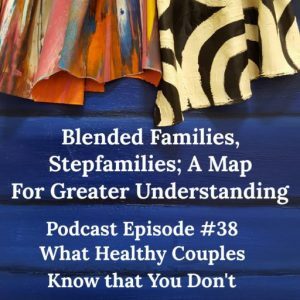 •	Blended Families & Stepfamilies must build a new family culture while respectfully navigating previously-established cultures. •	Ex-spouses (other parents, outside the household) are part of the family. For adults, finding a new partner is a gift. However, for children of all ages, watching Mom or Dad turn away to a new love can create yet another cascade of losses, on top of the losses of separation and divorce. Blended families & Stepfamilies often create loyalty binds for children. The entrance of a stepparent often creates a loyalty bind for children of all ages: “If I care about my stepmom, I am disloyal to my mother.” Loyalty binds are normal. I see them even in friendly, collaborative divorces (Papernow, 2013). However, parental conflict tightens loyalty binds unbearably. Sometimes, even with no parental conflict, a child who is especially close to their “other” parent (in my experience, often an oldest girl) may experience a more intense loyalty bind. When this challenge goes well, stepparents can help parents to “firm up.” Parents can help stepparents to “soften up.” When this goes poorly, parents and stepparents become increasingly polarized. Stepparents become harsher; parents become more permissive. Neither meets children’s needs. Nor does the accompanying conflict. 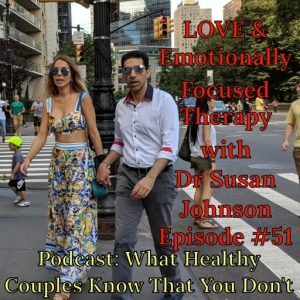 It is interesting that first-time couples and stepcouples have similar levels of conflict. First-time couples fight primarily about money. Stepcouples fight primarily about children (Stanley, Markman, & Whitton, 2002). The guideline I give stepparents is “connection before correction” (Papernow, 2013). Massive amounts of research establish the toxic impact of adult conflict on children.